Happy Friday, everybody. As always, I bring you another DaedTech Digest post where I go on a bit about the vagabond lifestyle, make some picks and link you to some posts I wrote about tech. Last week, I chronicled our move to Phoenix for a month. This week, we have a week of living in Phoenix under our belts. It’s an insanely busy time right now for Hit Subscribe and the entire point of our trip was to attend a bunch of Cubs games for spring training. I am succeeding on both fronts, which creates an interesting, manic work and recreation dynamic. We’re going to baseball games every day, and basically working every moment we’re not at baseball games, including weekends. Truth be told, it actually suits me pretty well. I like our work, building businesses and watching baseball. Here’s a screenshot of the experience in a nutshell (at least the baseball portion). 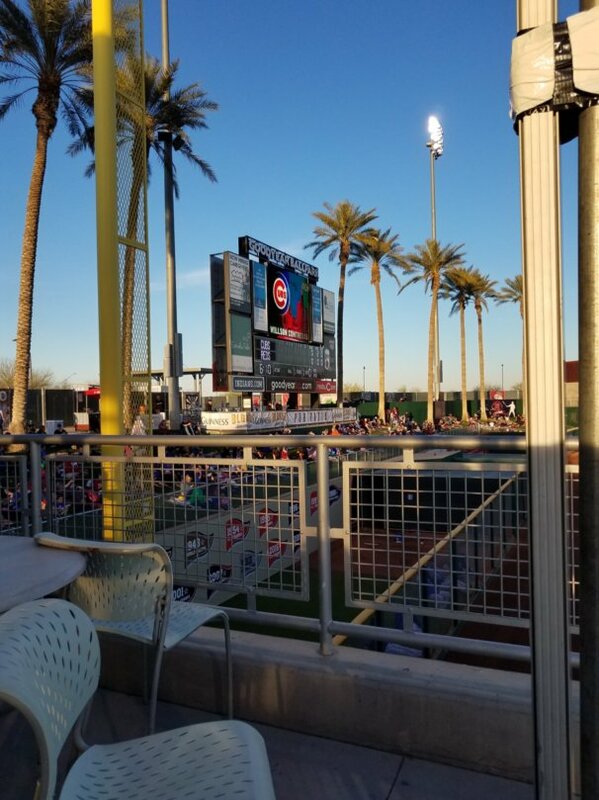 Beautiful weather, palm trees in the desert, the Cubs logo on the scoreboard, and a low-key, relatively intimate setting in the ballpark every night that includes picnic blankets on the lawn in the outfield, if you’re sitting out there. There are also lots of mountains in the background (not pictured). My wife and I have been listening to this book, “Built To Sell,” on Audible, about structuring a business so that you could sell it. 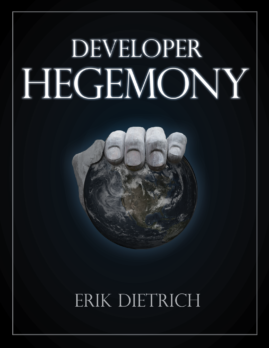 It’s really interesting, and it delivers on the title premise, but that’s not the valuable part, at least for me. The real value, as far as I’m concerned, is how to take a generalized service-based business and turn it into a company that offers a productized-servie and behaves more like a product company. I’m going to pick the combination of Farmers Insurance and this Jeep Dealership. Apparently a fuel pump gave out on my Jeep the other day, causing it not to start. I called Farmers and they sent a free tow out to take my car to the dealership, which replaced the part for free because it had a recall. All of that was pretty nice, but the thing that impressed me across the board was how smooth the tech made it. I was able to monitor the progress of the tow truck driver on my phone while I waited, and the dealership was ready for me with information already in the system from my VIN and records at my home dealership. An incredibly smooth experience, given the circumstances. If you’re ever in Phoenix and you want a place to go work, Sip (link removed because their site got hacked) has got you covered. They feature a Starbucks-esque coffee scene, but also craft beers and cocktails as well as a nice light fare menu. So, if you’re a vagabonder looking for some ambiance and wifi, you can spend your morning and afternoon with coffee and your work, and finish the day with beer and your work. For NDepend, I did a more career-focused post, talking about the career path of someone following the so-called architecture track. On the Scalyr blog, I wrote a deep-dive/granular post explaining the idea of a log appender to newbies to the concept. Here’s one about feature flag management, focusing on the idea that part of your strategy with feature flags needs to include planning their retirement. And, finally, here’s a Gurock post examining the relationship between BDD and an IT organization’s overall testing strategy. As always, have a good weekend, and thanks for reading!